Denethor comes down from the Tower of Ecthelion. He orders the beacons of Gondor lit. He summons Hirgon and gives him the Red Arrow, commanding him to ride to Edoras. Gandalf and Pippin ride through the night. They see Nazgul overhead but remain out of sight. 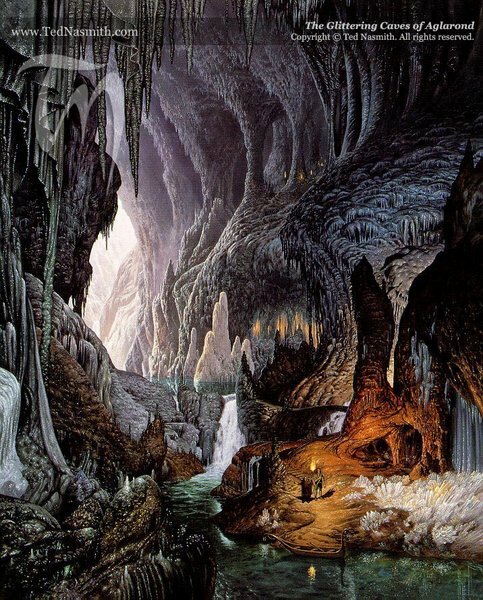 Aragorn tells the others he must go to Minas Tirith by a darker road. They ride towards Edoras. In the night they come across thirty rangers, along with Halbarad, Elladan and Elrohir. Theoden welcomes them. Elrohir gives Aragorn Arwen’s standard and Elrond’s message to seek the Paths of the Dead. Gandalf talks to Eowyn at Edoras before leaving for Minas Tirith. 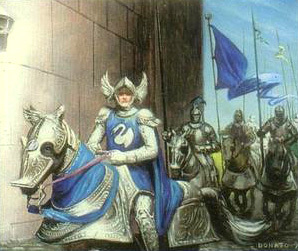 Eowyn sends out riders to call the King’s banners. She rides for Dunharrow. Theoden and the others return to Helm’s Deep. Gimli and Legolas take Merry around the Hornburg. Merry offers his services to Theoden. Theoden accepts. Theoden commands Eomer to muster the army. 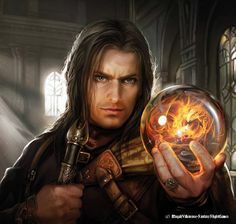 Aragorn looks into the Palantir. He reveals himself as Isildur’s heir to Sauron. Sauron shows him the Corsairs of Umbar. As Theoden prepares to leave for Edoras, Aragorn announces he will take the Paths of the Dead. Merry and Eomer say goodbye to Aragorn. Theoden and his riders set out. Legolas, Gimli, Halbarad and the sons of Elrond swear to follow Aragorn. Gandalf and Pippin see the warning beacons of Gondor. They reach Minas Tirith. They ride up to the seventh level. They speak with Denethor, who reveals his knowledge of Boromir’s death. Pippin explains how he died. Denethor talks to Pippin of Boromir. Pippin offers his service to Denethor. Denethor accuses Gandalf of manipulation. 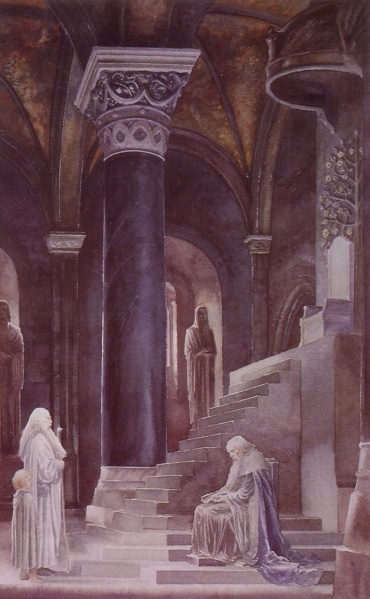 Gandalf leaves with Pippin, explaining the history of kings and stewards. Pippin checks on Shadowfax, meeting Beregond. 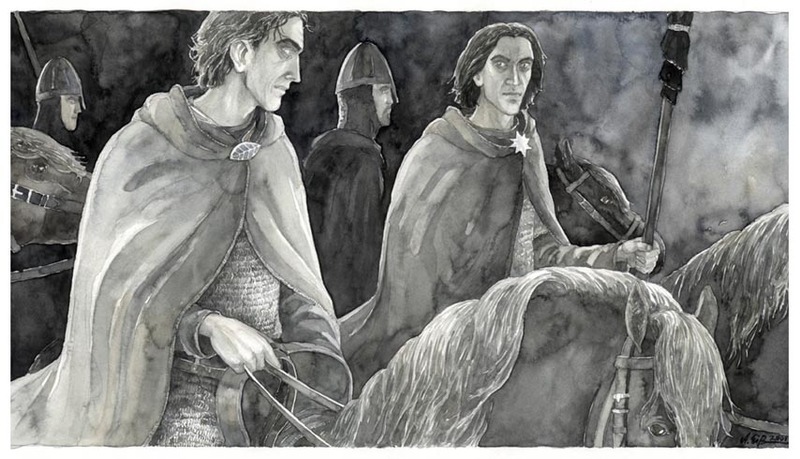 Beregond shows Pippin the city, giving him the passwords to the gates and introducing him to the Third Company. 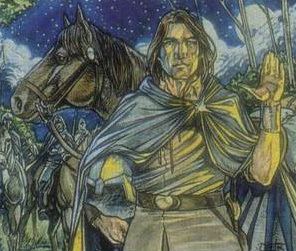 Beregond’s son, Bergil, shows Pippin the Great Gate. Reinforcements arrive, led by Imrahil. 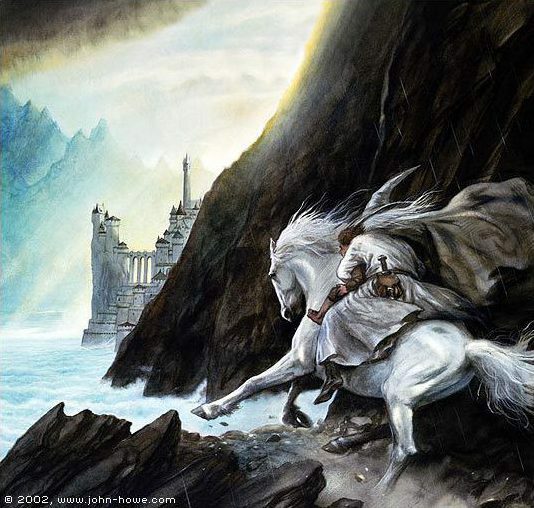 Faramir sees Nazgul fly over the city, followed by a great cloud of darkness. Adapted from chapters ‘Minas Tirith’, ‘The Passing of the Grey Company’ and ‘The Muster of Rohan’ of The Lord of the Rings.